I think of this as my pregnant-lady lunch. Because when you are pregnant and have a toddler, lunch must be tasty and ready in less than 5 minutes. And, you know, it should also have some good things in it, like protein and healthy fats and vegetables. Because…growing a human. Eating healthy has been a struggle for me this pregnancy. I subsist largely on quick snacks like peanut butter crackers and Chobani yogurt, and then I end up neglecting my vegetables. 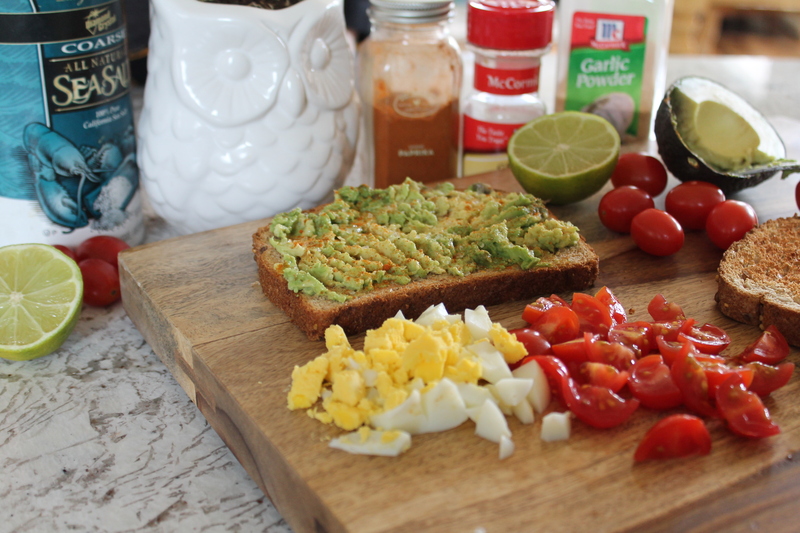 That’s why these open-face sandwiches make a perfect pregnant-lady lunch! Avocados are full of folate and potassium; tomatoes (whose nutrients are more fully absorbed together with fats) are full of lycopene and vitamins; and eggs are a great source of vegetarian protein! Seriously, these sandwiches are so quick to fix. If you aren’t the type to hardboil a bunch of eggs at once and then save them for later, then start by boiling your egg. While the egg boils, cut up a handful of grape or cherry tomatoes. If you are making this in the summer, you could use a plum or roma tomato instead, but I kind of like the big chunks of grape tomatoes because they aren’t messy and I only have to use as much as I need at one time. Toast two slices of sandwich bread. I used a seedy multigrain bread, but you could even go crazy and make this on baguette slices and serve them as crostini! Cut open an avocado. Scoop out the flesh and gently mash it onto the toast with a fork. I generally use about a quarter of an avocado per piece of toast, but if you have smaller avocados (or if you have been skipping your prenatal vitamins for a while…) you could use up to half an avocado on each piece of toast. Yum. I am so addicted to avocados right now! Now season the avocado with a hefty pinch of coarse sea salt, smoked paprika (don’t skimp on this! ), garlic powder, and cumin. The more seasonings, the more deliciousness. Seriously. If you want, you could add a few drops of olive oil for extra moisture, but I only really recommend this if your tomatoes are underripe. You could use red onion or shallots, but I have been using a generous palmful of chives lately to fill the place of onion in this deconstructed guacamole. Whatever you have on hand should work! Just sprinkle it over the seasoned avocado. When the egg is done boiling, peel it and cut it into cubes. 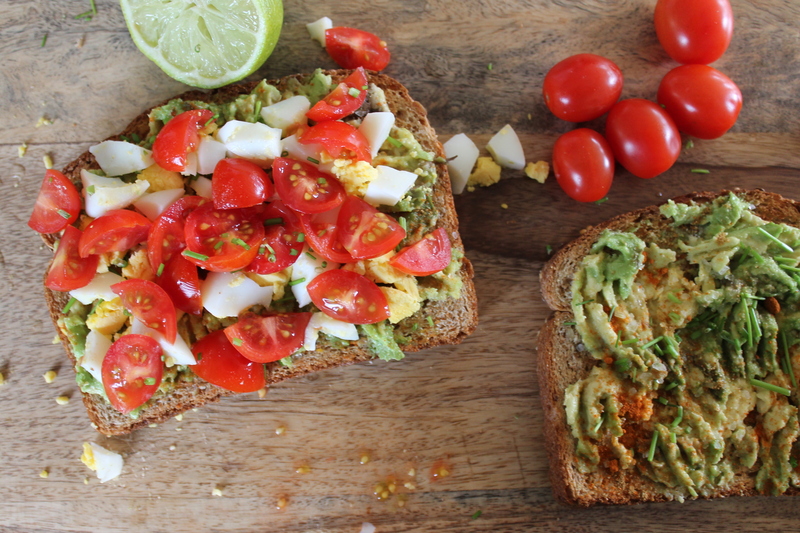 Layer the egg and tomatoes over the avocado. Now squeeze lime juice over the top of the sandwich, and enjoy a big, juicy, nutritious bite! 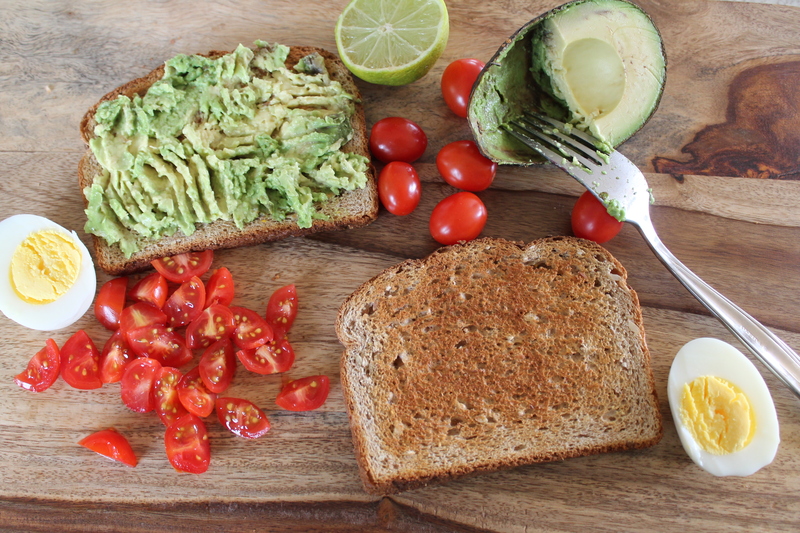 Gently mash the avocado evenly onto the toast, creating a thick, textured layer. Use as much as needed, depending on the size of the avocado and the bread slices. 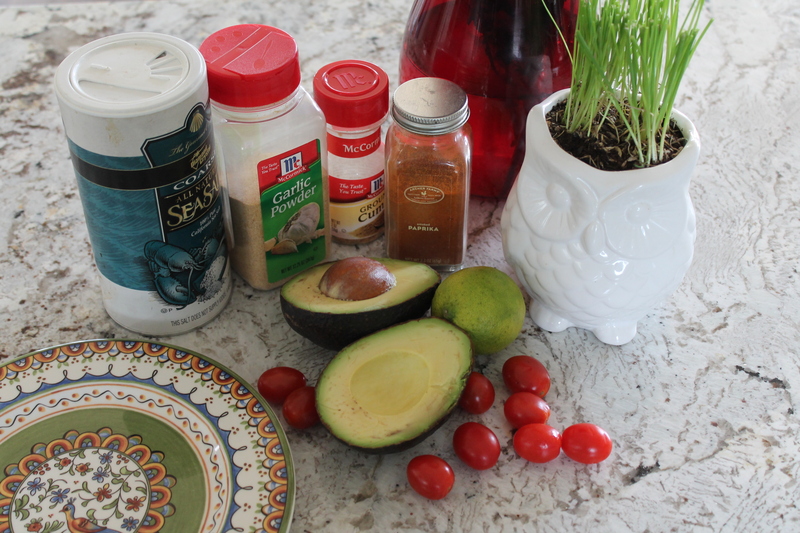 Season the avocado with generous amounts of salt, smoked paprika, garlic powder, and cumin. Sprinkle with chives. 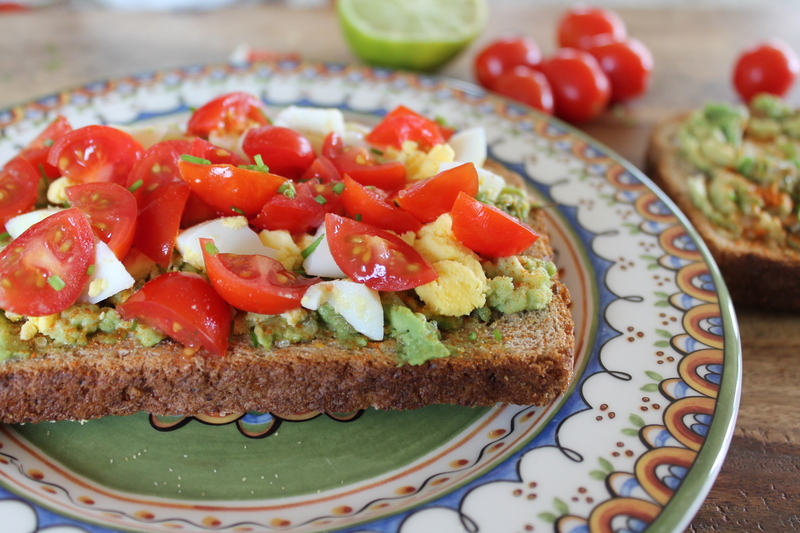 Chop up the hardboiled egg and tomatoes and distribute them over the toast. Squeeze lime juice over the sandwiches and garnish with extra chives.